As we all know, IT is a growing field and it’s easy to find a job (at least compared to other fields). We’re overwhelmed by job offers and recruiters emails sent to find the right person for their clients. Unfortunately, many of these offers are written by people without any clue of what they are talking about. Others are written without the will to end up something meaningful and appealing. This is really sad as it wastes people’s time and it’s also counterproductive for the companies. Most of the time the only result these job offers will have is to let potential candidates down, thus avoiding applying for the role. In this article, I’ll discuss some of the most common job offers errors I’ve found recently on the web and how to fix them. One of the first issues I’ve found is the lack of details. Many job offers are so vague that is really hard, if not impossible, to establish if the position is of interested to you or if you have the skills the company is searching for. Let’s take a look at a couple of examples, both taken from LinkedIn. Enfield Council have a vacancy for a Web Developer working Monday to Friday 35 hours a week. To provide technical expertise on the development of the website, intranet and extranet. To develop new interfaces, systems, databases and web applications. To develop and implement the design of the website, intranet and extranets. To assist the web manager in developing the website as a strategic tool for communication, access and ways of working, ensuring they meet government and best practice standards and objectives. As you can see, it doesn’t have any useful information for a developer. How a potential candidate can evaluate if this is a company to work for? How a developer is supposed to know if he/she has the skills required when no technologies are mentioned? My client, a leading Video on Demand company in London, are looking to add a Senior Front End Developer to their world class team. Participate in the technical design of your required deliverables, in addition to contributing to the end-to-end solution with your own ideas. Collaborate with Front-End developers and back end system developers in building out an end-to-end solution that scales. Collaborate with Technical Project Manager and senior management during development to ensure what is delivered meets expectations of client and users. Just like the previous offer, this one is very vague. It has some information about what you can expect to do on a general level, but no mention of the programming languages and frameworks required, and the skills the candidate must possess. Every job offer must include a description of the technologies used. The candidate must be aware of the programming languages, frameworks, libraries, and tools adopted by the company that he/she will use on a daily basis. In addition, an overview of the full stack employed will give an even better idea. Finally, the advertisement should mention the company environment and the dress code. It might help a person in deciding if this is the right place to work at. Some job offers I’ve seen in the wild have the exact opposite issue described in the previous section. They have too many technologies specified without outlining the required and the desired skills. If the advertisement has a list of 20+ programming languages, frameworks, and tools the candidate must be comfortable working with, chances are that even a very good candidate might lack at least one of them. If the candidate is really serious about proposing himself/herself for a new position, he/she might decide to skip the offer altogether. This is something a company should avoid because it might lose a very good candidate. Engages the team to develop and build effective working processes for development and support. Commitment to quality and a thorough approach to work. Needs to deliver to succeed. This job offer seems to search for a high level developer in a very wide range of technologies. In my opinion it is really hard to find someone like the developer described and this could discourage a lot of possible candidates. 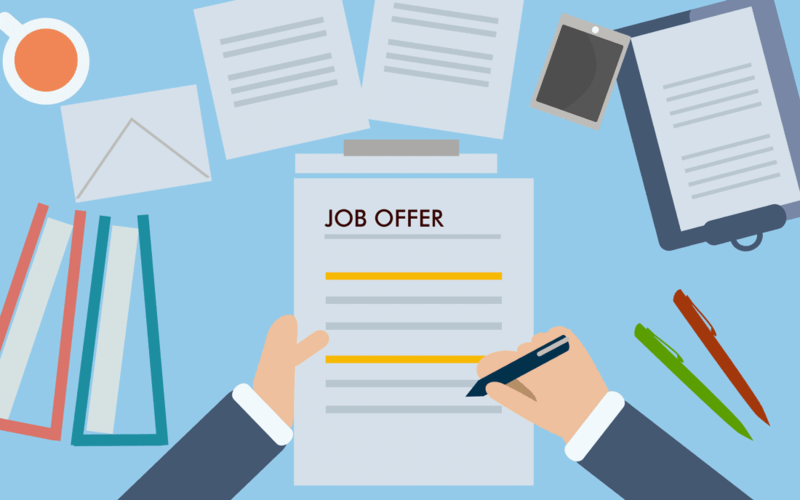 A good job offer should have a general but short description of the role at the beginning. Then, it should have two sections with bullet points: one for the essential skills and experiences and the second with the desirable skills and experiences. An example of an advertisement with such division is this one. Another issue I want to highlight is posting advertisements without a proper formatting of the description. This problem is usually caused by posts automatically published on several websites using a script. However, this is in no way an excuse for the person in charge to be shallow and skipping any checks of the quality of the offer. Having a badly formatted description will often cause a candidate to have a hard time in reading the specifications, which might result in him/her avoiding applying for the role. Fixing this problem is easy. All you need to do is to check the quality of the description before publishing the job offer. It’s too bad to lose a good candidate because you’ve been too shallow to check your advertisement. Well… what can I say about it? This text is just ridiculous. It says nothing about the responsibilities of the developer, the languages involved, the number of people involved in the team. Nothing at all. This is really sad because this offer belongs to an important bank. I can’t think of a reason why it has reached the LinkedIn job board. Is it possible that nobody has reviewed it? And if so, is it possible that the author didn’t realize how useless is this description? In this article I’ve examined some of the most common and important job offers issues I’ve found recently and how to fix them. These kinds of advertisements are really a pain and waste the time of developers and designers searching for a new opportunity.